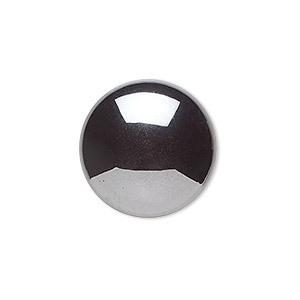 Cabochon, Hemalyke (man-made), 10mm calibrated faceted round. Sold pkg of 2. Item Number: H20-1441CB Have a question about this item? Hemalyke's mirror-like gunmetal color is amplified by the side facets. Cabochon, Hemalyke (man-made), 10mm calibrated round. Sold per pkg of 10. 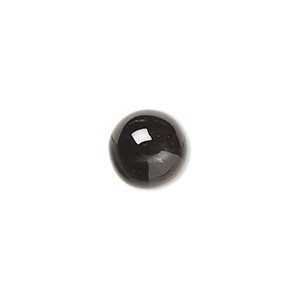 Cabochon, Hemalyke (man-made), 6mm calibrated faceted round. Sold pkg of 2. Cabochon, Hemalyke (man-made), 8mm calibrated faceted round. Sold pkg of 2. Cabochon, Hemalyke (man-made), 4mm calibrated round. Sold per pkg of 16. Cabochon, Hemalyke (man-made), 8mm calibrated round. Sold per pkg of 10. Cabochon, Hemalyke (man-made), 20mm calibrated round. Sold per pkg of 4. 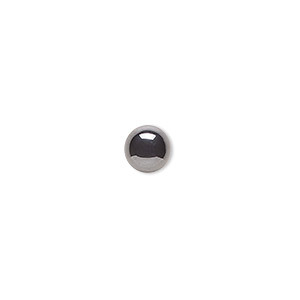 Cabochon, Hemalyke (man-made), 5mm calibrated round. Sold per pkg of 16. Cabochon, Hemalyke (man-made), 6mm calibrated round. Sold per pkg of 16. Cabochon, Hemalyke (man-made), 7mm calibrated round. Sold per pkg of 16.